Outta wax or lost your grip? No time to pick up a new bar? No problem. Use the scraper edge to pull up the old wax. Ball it up. Grater Grip can slice through that ball of wax and give it a second life! 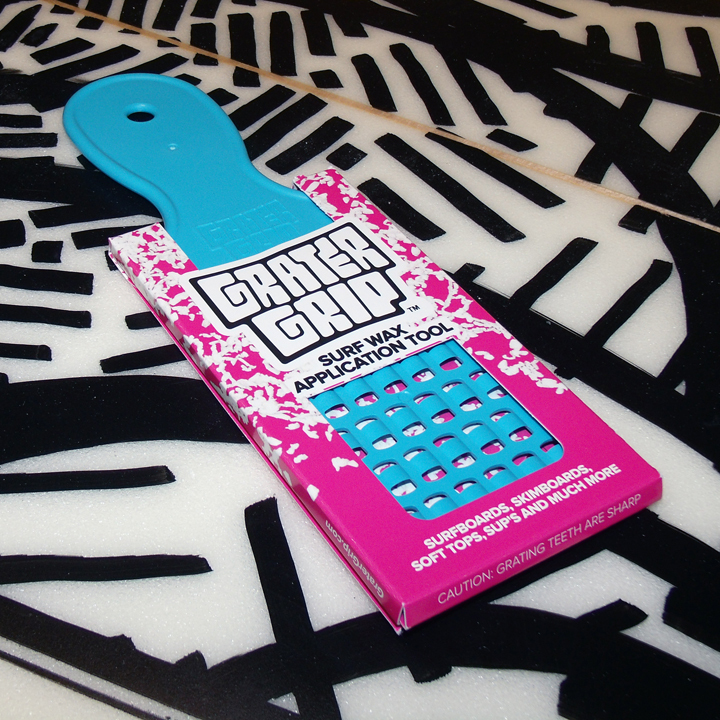 Grater Grip shreds wax and spreads the pieces onto the board’s surface. The chunks of wax create variation in texture an ultimately create superior traction that traditional waxing methods can’t achieve. Cold, Cool, Warm, Tropical. Forget about it and make life simple. Use only Warm or Tropical wax and get the best results, no matter the water temp! Traditional waxing methods make it difficult to get wax off the bar and onto the board. Grater Grip allows you to use the more solid waxes in any temperature and easily drops bumps onto your board creating superior traction. Forget about cold water wax melting when the temperature rises.